Grand Universal Canopy commands attention with it’s majestic foot posts featuring storage shelves, overhead consumer-safe mirror panels and dressing bench - this is truly a masterpiece. 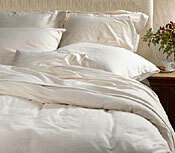 Compliments any of our pine beds or add to your existing California King or Queen size bed. 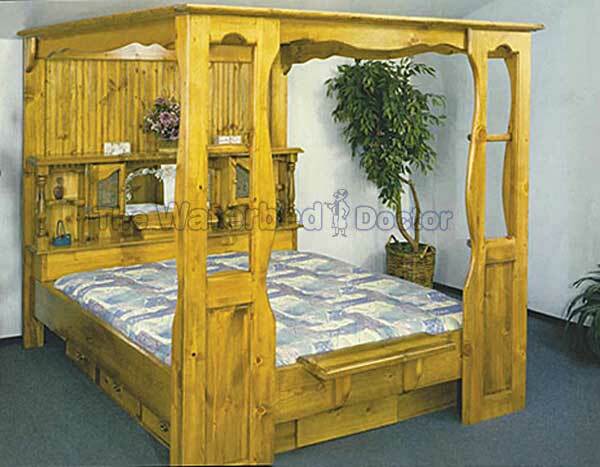 May be ordered with or without Lexington bed (shown with Lexington bed). Available in Honey Oak, Unfinished or Walnut finish. Or Medium Walnut Finishes • Provides the flexibility of choice to compliment any bedroom. 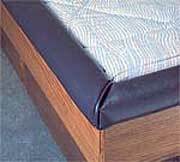 BUILD YOUR BED HERE USING DROP DOWN SELECTIONS. The Grand Universal Canopy comes complete with Lexington Headboard (as shown), frame, deck boards, Standard 9.25" Pedestal.